A. 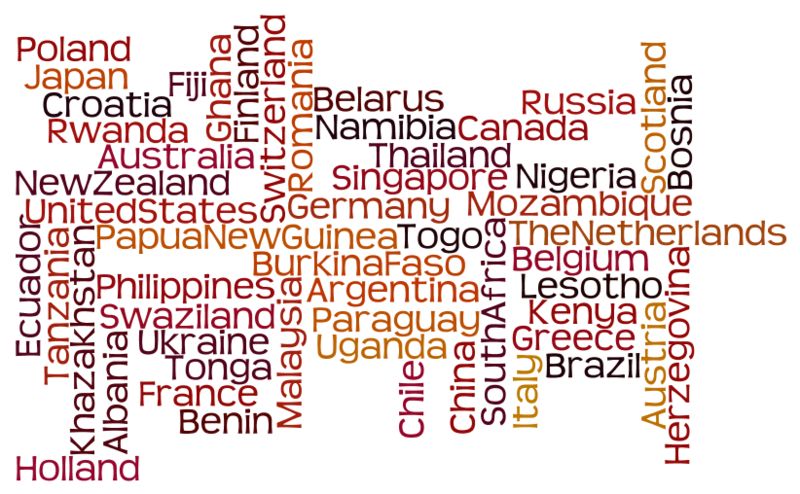 900 English-speaking participants who serve in ministry around the world. We have been blessed to meet women who serve in each of these countries. 2. For every renewal, women have flown from over 1,000 miles away to participate-indicating the need associated with such ministry. Helps missionaries develop support groups, even when they work alone in countries where travel is difficult. We find that women are staying in touch with new-found friends and continue to support one another after the renewal ends. Allows women to unwind emotionally, physically, and spiritually. According to our Westover Hills Church of Christ’s missions committee, disenchantment with the field (on the woman’s part) is a major cause of bringing missionaries home. Promotes unity in the church by celebrating our common fellowship in Christ. Provides opportunities for leadership and growth among our younger women who travel and work with the missionaries and with older, more seasoned teachers and speakers.